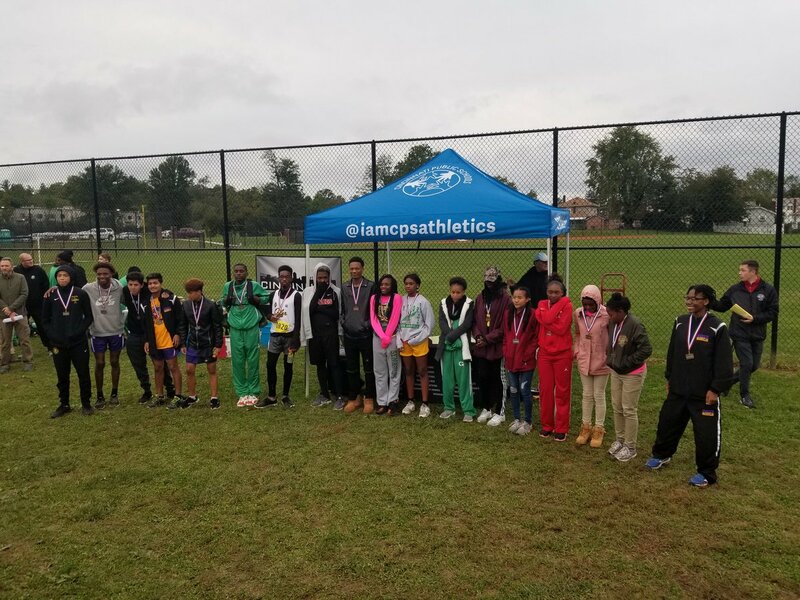 On Monday, October 15, the Cincinnati Metro Athletic Conference held it's very first ever Cross Country Championship Meet at Withrow High School! The 2-mile course featured turns and barriers scattered across the Withrow High School campus and allowed runners to be seen from virtually every point. The crowd on hand cheered and encouraged each runner from six different CMAC schools that participated as the girls raced first, followed by the boys. At the end of the day, we saw nearly 30 female runners and 40 male runners cross the finish line! Taft High School took home the gold in the girls division, with four runners finishing in the top six overall! Aiken finished in second place and had the first place finisher in Brianna Triblett, SR, who is the very first CMAC Runner of the Year for Cross Country! Brianna crossed the finish line with a time of 15:21. On the boys side, the Aiken Falcons had a strong showing, finishing with three of the top four runners earning them the team championship! The Taft Senators also came ready to run, finishing in second place with the top overall runner. Trenis Brown, SR had the top overall time on the day, setting the official CMAC record with a time of 11:50! The CMAC is extremely proud of each school that participated and the students that worked hard all season long. For more news and stories on the CMAC, make sure you follow the CMAC on Twitter!